BPD affects a significant percentage of the population. It is a disorder of relationships, one whose symptoms occur most in interpersonal contexts-and thus impact any number of interpersonal connections in life. When people have BPD, they may struggle to manage their emotions on a daily basis, and have to deal with fears of abandonment, anger issues, self-injury, and even suicidality-all of which can lead to even more instability in relationships.This powerful compilation of stories reveals the deeply personal, firsthand perspectives of people who suffer with BPD, explores the numerous ways in which this disorder has affected their lives, and outlines the most debilitating and misunderstood symptoms of BPD (the most tragic being suicide). 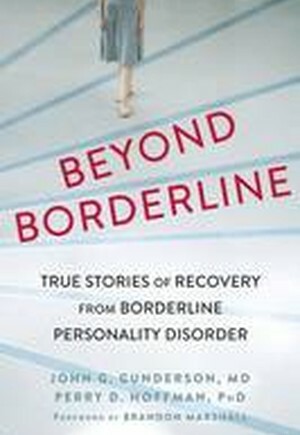 Beyond Borderline delves into the many ways the disorder can present-as well as the many paths to recovery-using evidence-based tools from dialectical behavioral therapy (DBT), mindfulness meditation, metallization-based therapy (MBT), and more.BPD is a challenging disorder that impacts people's lives and relationships in countless ways. With this book-full of intimate accounts that reflect the myriad ways BPD presents and how it affects not just those afflicted, but also their loved ones-you'll gain a deeper understanding of the disorder and learn how to move forward on the path toward healing while dealing with BPD.